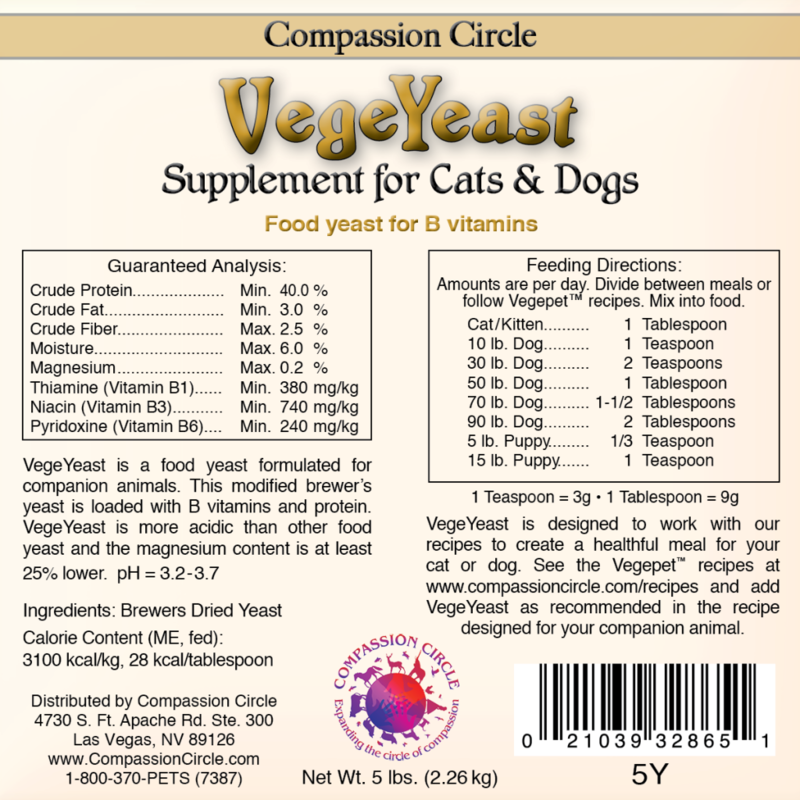 VegeYeast is an ingredient in all Vegepet recipes. 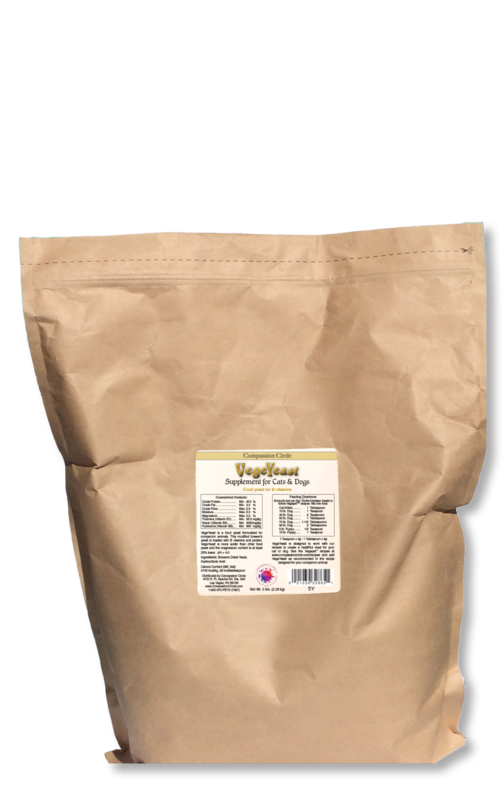 VegeYeast provides B vitamins and additional protein to the diet. 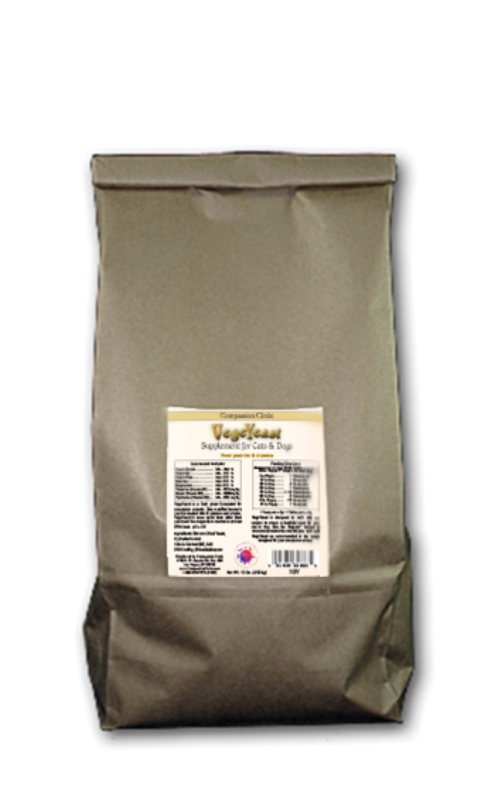 About one pound per month is used in Vegepet recipes for a 10 pound cat or a 44 pound dog.